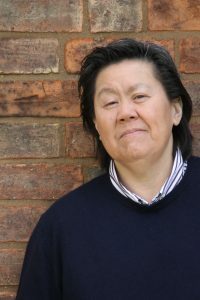 Kerry Young was born in Kingston, Jamaica, to a Chinese father and mother of mixed Chinese-African heritage. She came to England at the age of ten. Kerry has a history of non-fiction writing and editing on issues relating to youth work. She also has Master’s Degrees in organization development and creative writing, and a PhD. Kerry’s first novel Pao, set in Jamaica, was published by Bloomsbury and Bloomsbury US in 2011. It was shortlisted for the Costa First Novel Award, the East Midlands Book Award and the Commonwealth Book Prize. Kerry is currently working on Fay, her third novel for Bloomsbury.